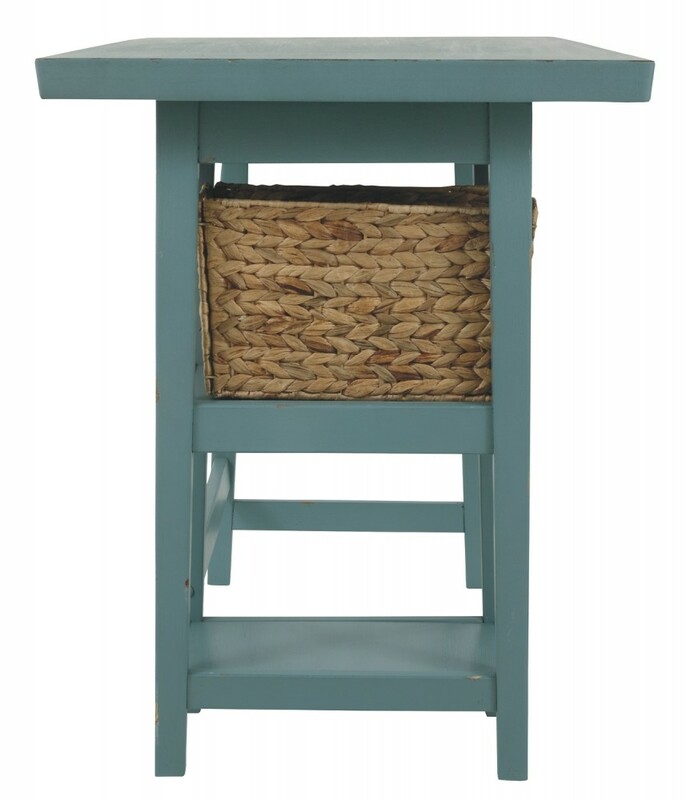 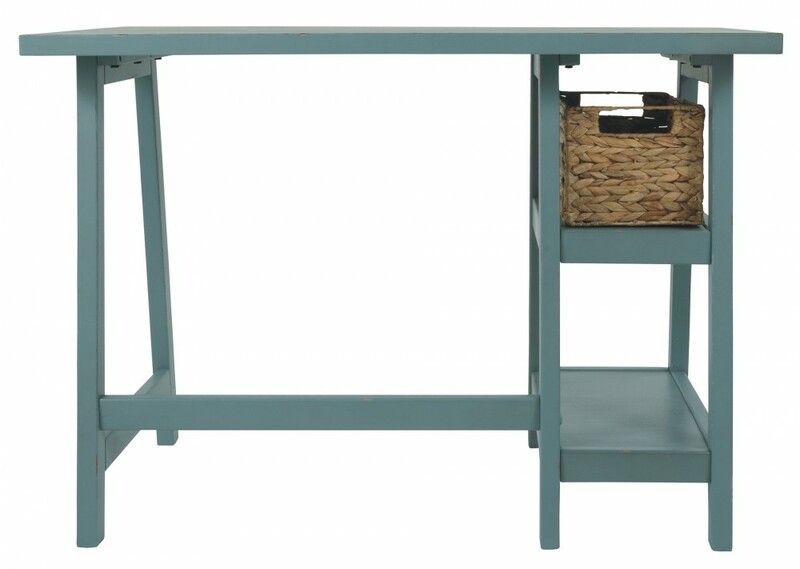 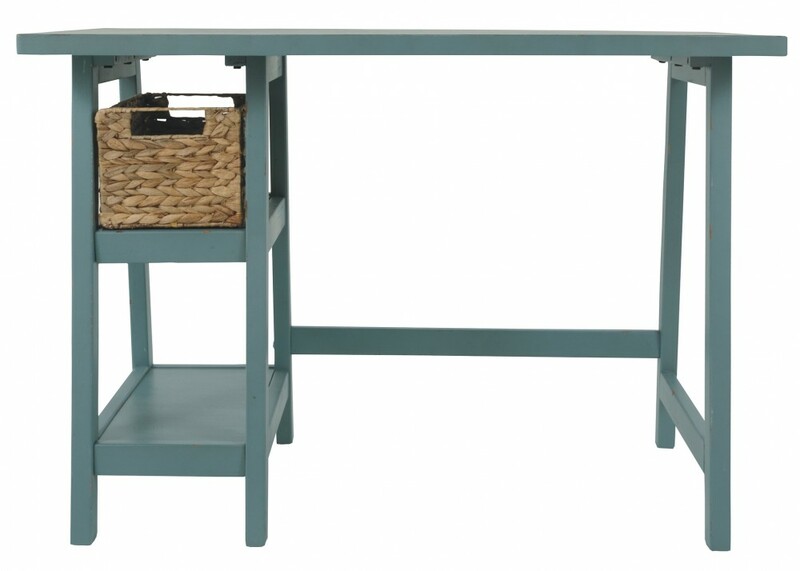 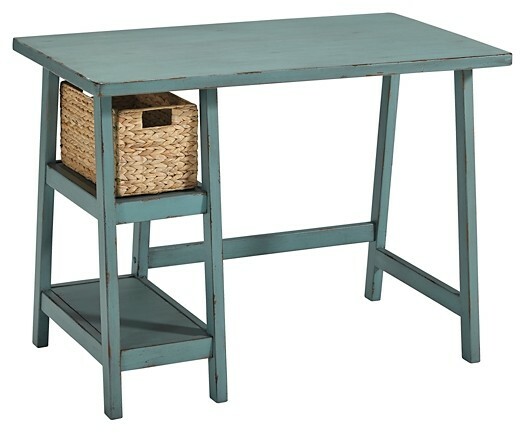 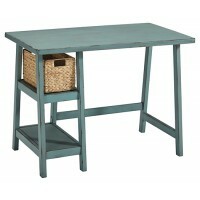 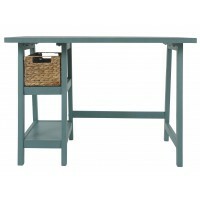 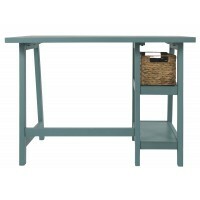 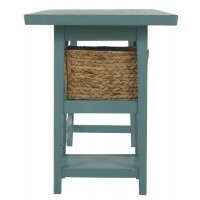 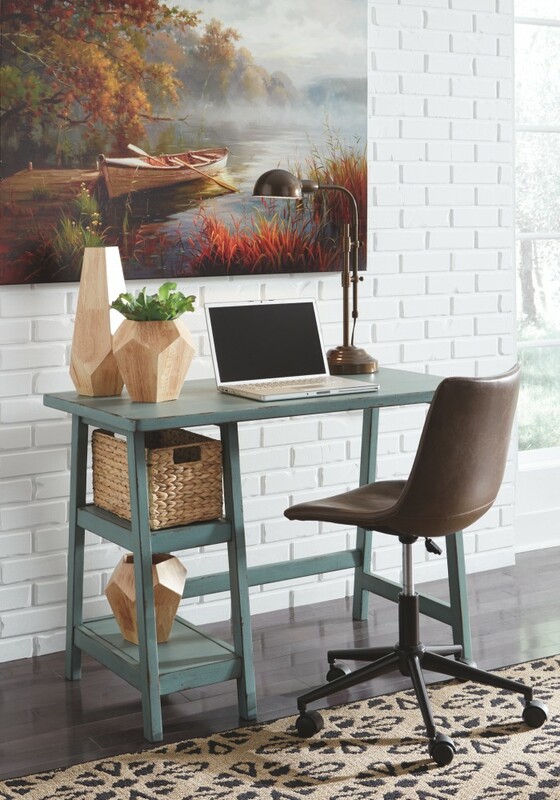 Space-challenged rooms call for simply chic style: like this small home office desk in antiqued blue. 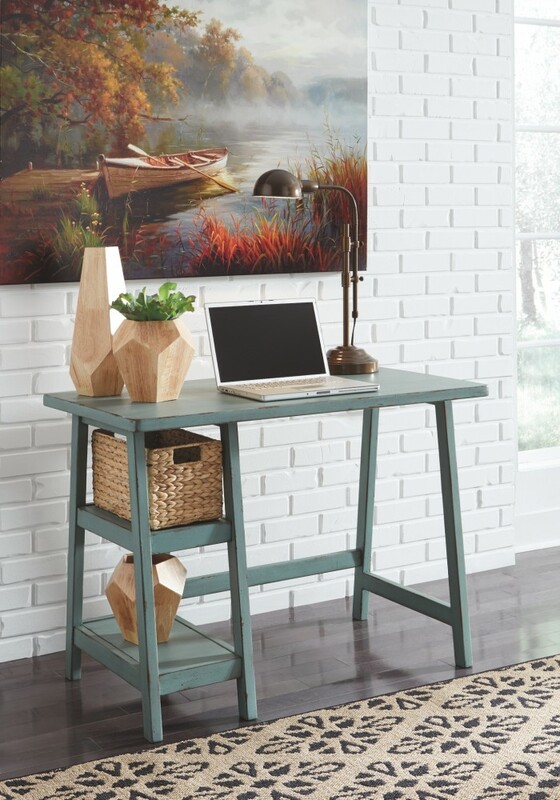 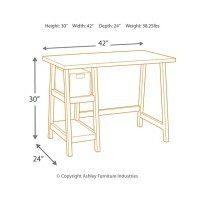 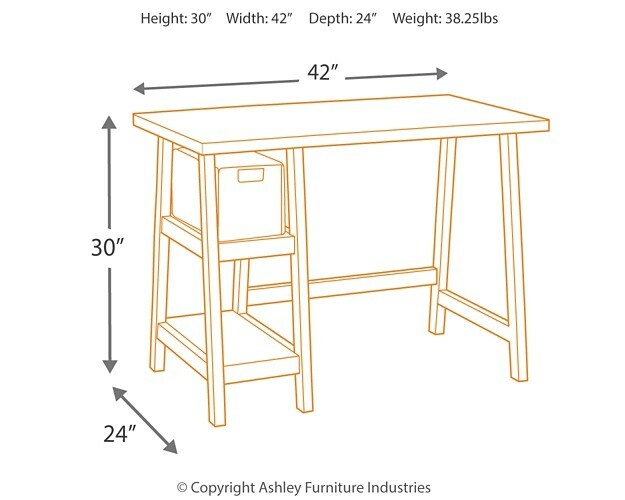 Clean and lean, this desk’s classic trestle design always works. 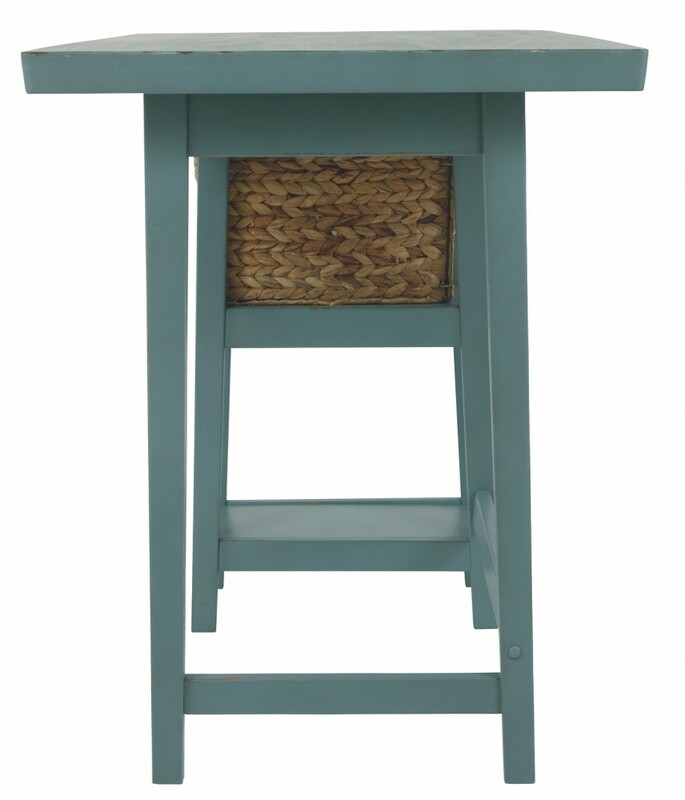 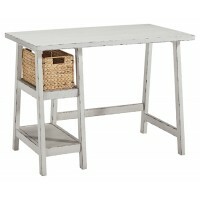 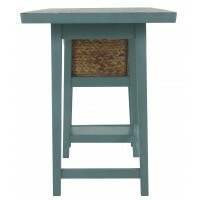 Heavily distressed finish captures the essence of chipped paint, giving this wood desk a charming salvaged quality. 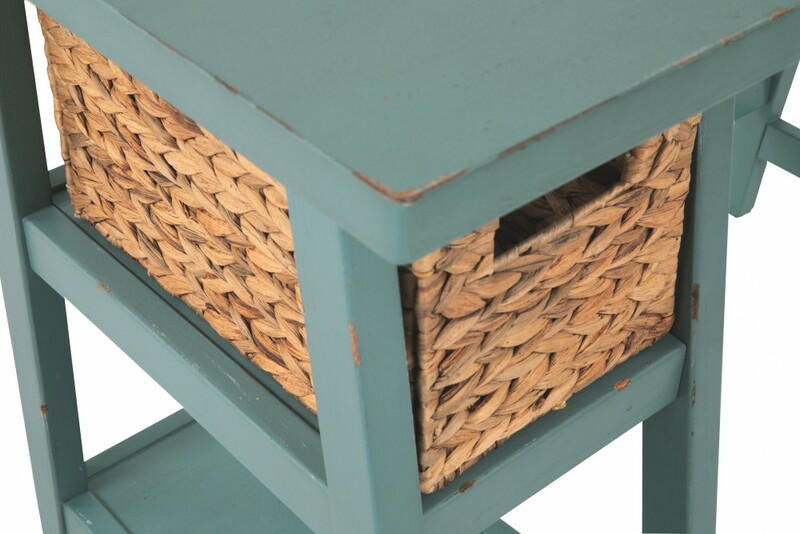 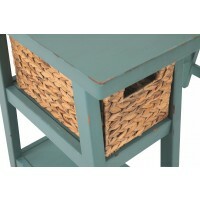 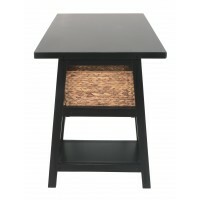 Pair of open shelves and natural water hyacinth basket provide essential storage.